GameLauncher is a handy, free game only available for Mac, that belongs to the category PC games with subcategory Utilities. Since the game has been added to our selection of programs and apps in 2006, it has managed to reach 7,120 downloads, and last week it gained 19 downloads. It's available for users with the operating system Mac OS X and former versions, and it is available in English. The current version of the game is 1.2 and was updated on 5/12/2006. About the download, GameLauncher is a not that heavy game that doesn't need as much storage space than most games in the section PC games. It's a game very heavily used in many countries such as Philippines, United States, and United Kingdom. GameLauncher is intended to solve the unsightly problem of quitting all your applications every time you want to relax and play a game. 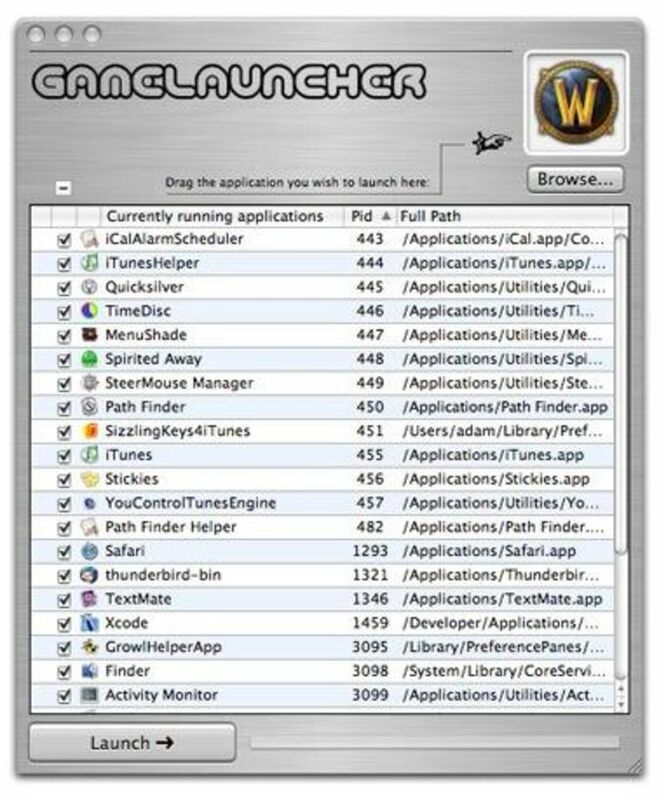 GameLauncher first requires that you select the application and, once selected, if you press the “Launch” button, will quit as many applications as you have running, launch the game, wait patiently until you are finished, then return the applications to your desktop good as new.